One of the great traditions among New York restaurateurs is to whip up a stupendous dish and then do just about everything they can to conceal it from their public. 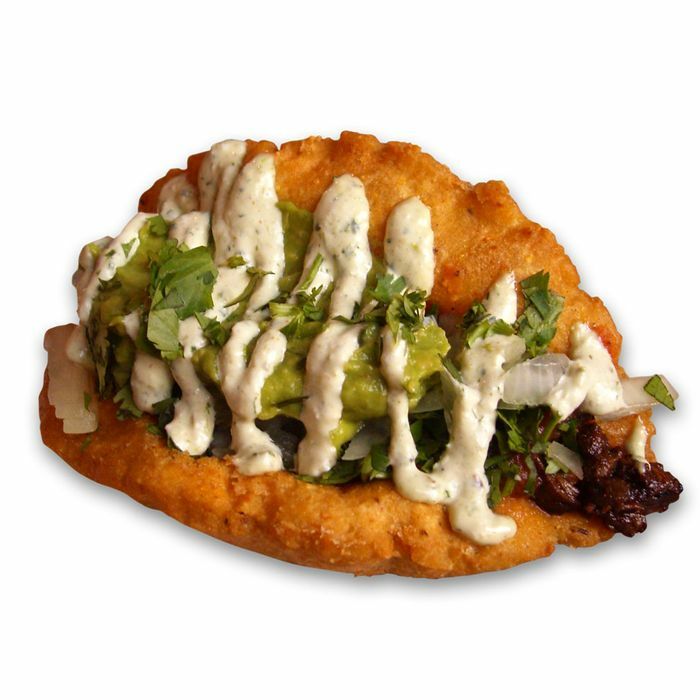 The latest example of this perverse practice, the Underground Gourmet has discovered, is the secret, off-the-menu sensation at Otto’s Tacos known to insiders as the Gorgon, and it’s so infernally good that the mere mention of the word elicits in the U.G. a salivary response that would greatly interest Dr. Ivan Pavlov. Here is what it consists of: one supersize fresh-masa tortilla smooshed to order on a contraption that looks like something a dry cleaner would use to press pants, then deep-fried into a delicately chewy-flaky, almost croissantlike texture; a heaping helping of zingy carne asada fresh off the griddle; a gob of guacamole; a drizzle of serrano-chile crema; and a sprinkle of chopped onion and cilantro. Natives of San Antonio might recognize the thing as a riff on the regional delicacy known as a puffy taco. As for naming it after a snake-haired demon-woman from Greek mythology, who knows? Maybe Otto’s Angeleno owner Otto Cedeno and chef Joe LoNigro call it that because simply gazing at one will turn your arteries to stone. One caveat: Gorgons are available only off-hours during the day, when LoNigro is in the mood and isn’t too busy to make them. Otherwise, they might have to change the name of the place from Otto’s Tacos to Otto’s Gorgons.